Your first round of golf is just a minute away at Reflection Bay Golf course, the only Jack Nicklaus Signature Design course in Nevada. Relax between rounds at the 32,000 sq. ft. clubhouse, home to our world-class golf shop and your choice of casual or fine dining. Go paddle boarding at the private white sand beach for a unique experience. Less than a 5 minute drive away, Chimera Golf Club boasts a 6,906 yard course nestled in a desert landscape with stunning views of the Las Vegas Strip. Check out the Club's new "GolfBoards", a fun alternative to the traditional golf cart. Or try something completely different: "FootGolf". After your round of golf, enjoy food and drink at the Slice 19 Bar & Grill. Consistently ranked one of the nation's top golf courses. This Rees Jones design features spectacular desert and mountain views, exciting elevation changes, manicured playing conditions, unforgettable water features and a luxurious 37,000 square foot clubhouse. Enjoy an unforgettable experience and the opportunity to cross Cascata off their golf bucket-list. 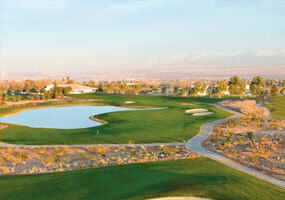 At the base of the Mountains, amidst the flora of the Mojave Desert, Black Mountain Golf & Country Club provides the most unique and affordable golf experience in the Las Vegas Valley. Our 18-hole Championship layout, with rolling fairways, lush greens and strategically placed hazards, will challenge golfers of all levels. Conveniently located in Henderson, NV, Black Mountain is a sure bet to make your day unforgettable. Spanning 820 miles of shoreline, Lake Mead is one of the largest man made lakes in the world. A popular year-round destination for outdoor enthusiasts, visitors can enjoy some of the country’s best sports fishing, along with boating, water skiing and hiking. You can also paddle boat, swim and camp by the shore at Lake Mead’s Boulder Beach. Las Vegas Boat Harbor All kinds of rental watercraft.